Well, our Christmas series is quickly coming to a close. Today, for day 11, we’re excited to feature Icebreaker merino wool baselayers. When Icebreakers asked us to review their products, we were so excited. We’d been hearing about how great their clothing was, but had yet to get some of our own. Luckily for us, they were willing to share some with the whole family so we could all share our thoughts on how well they performed (men’s review will be posted later). In the past few years, we’ve been able to get away with lots of layering of mediocre clothing to keep Mason warm. However, we knew that this year was going to be different. Mason can now easily ski for several hours straight meaning that he was to the point where he really needed good clothing to keep him warm. (that also means Chloe will need better gear this year too since it will just be me and both kids a lot of days). When it comes to layering, you have essentially three options. Synthetic fibers (like polyester), cotton, or natural fibers (like hemp or wool). Synthetic fibers are good at wicking, but smell can start to build up after a while and are flammable. Cotton is great for staying at home, but once you start to sweat, you will understand the saying “cotton kills” quite intimately, as you begin to freeze. Natural fibers like merino wool are breathable, non-itch, non-flammable, and won’t retain smells. Although there can be a big price difference between synthetic and natural fibers, we recommend going with natural fibers, if your wallet can handle it. Here’s what we thought of Icebreakers merino wool. In addition to the kids tops, Icebreaker sent me their women’s cornice top. Simply put, I love it. It’s soft, super thick and warm, and comfortable. Also, I love that it’s really LONG. I’m 5’9″ and so it’s often hard for me to find tops that are long enough that they won’t ride up my back when I bend over. However, this top is plenty long to accommodate a full range of movement. It’s really one of those shirts that I could wear almost every day (which I totally could since it doesn’t retain smells…as long as I don’t spill on it). It’s much warmer than any shirt I’ve ever had. A few weeks ago, I wore it skiing with just a thin shirt under it and my shell on top. I wasn’t roasting, but I stayed nice and comfortable. Like Mason and Chloe, I also love the design on my top. It’s a tough top, but the print on it gives it a nice feminine touch. Would I recommend this top, definitely. However, you will need to be willing to pay for this kind of quality. Not having tried out much merino wool in the past, it’s hard to compare Icebreakers to other brands. However, it appears to be the top of the line. I could easily get by with this as my main skiing shirt for a long time. Well, you readers are in luck (actually your kids are). Icebreaker is giving one lucky reader their choice of one of these kids tops and coordinating bottoms to go with them. 1. 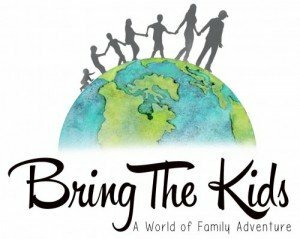 Leave a comment telling us one aspect of parenting you would like us to address on Bring The Kids. For one additional entry, ‘like’ Icebreaker on Facebook, OR ‘follow’ them on Twitter and come back and leave a comment that you did. Good luck, this giveaway will be open until Friday December 9th at 11:59 pm MT. Also, watch for our Mens review and for sock reviews for the whole family, coming soon. Hi! I am a huge fan of merino wool. I have my own merino wool base layer that I never go hiking without! Everything you say about it is true warm, keeps you from getting smelly and my favorite part is that it retains its ability to insulate, even when wet! Thanks to Icebreaker for this great giveaway! I’m following on twitter @bcoutdoor is my handle! I’m also following on facebook! How do you address your kids not wanting to try something new, putting up a big stink or giving you attitude when you are on an outing. This can range from I don’t want to walk anymore to I don’t want to try it. Looks like a great blog. I’m glad to see you have maintained your outdoor enthusiasm. Life is more fun with the family. I’d love to see some ideas for involving kids in the planning process. P.S. I am following you on Twitter as well! My lil guy is still young (almost 2), so I appreciate any posts on how to get young kids outside doing things that are fun for mom but not too much for the kid. Followed on Twitter under twitter.com/mlansford. followed on facebook. Thanks for the givieaway! 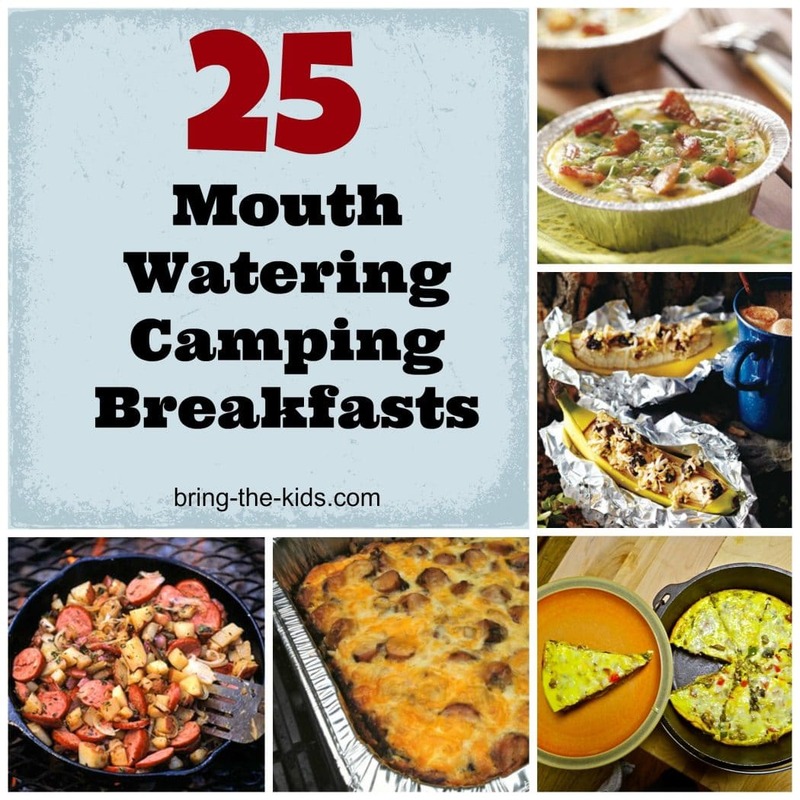 Because I have EXTREMELY picky kids when it comes to food, I would love to see different kid friendly menus for camping! No cost (minus gas), unique activities outside for the family! 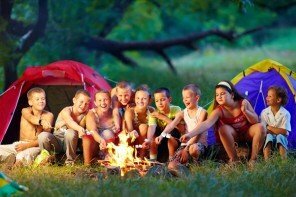 Whats a good way to get your kids to look forward to doing activities outside with the family? Love the merino wool! Would like to read your thoughts on balancing what you want to do vs. what the kids want to do. I’m interested to hear how you handle diapered kiddos (disposable – I know boo me) on outings. 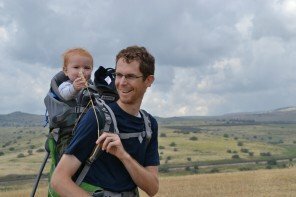 I would love a post on how to pack lightly with a toddler on backpacking trips! I like Icebreaker on Facebook and follow on Twitter. I am now a facebook liker. What aspect of parenting? Time management and scheduling. Andrea beat me to it – I was going to ask the exact same thing. How do you snow shoe with kids? Drag them in a sled? Or can the oldest do it? Think ages 6, 3, 1, respectively. Or how about cross country skiing? Is that something we are going to have to wait until are kids are older? I would also like to hear your opinion on snow shoeing, Mark and I have our own and when McKinley was young we would take her in the pack. But now she is almost 7 and we have Denali, almost 3. Ever tried it with your kids? I would like you guys to talk about how you work with the kids to try new and fun things. The get out the door routine. I need to be quicker but I feel like I have to pack a bunch of stuff i.e. food, water, hats, baby supplies, the right shoes for the activity, etc. in order to just get out the door. HELP!!! Wow, these shirts are amazing! I think I need to order myself some, for all of the time we spend outdoors. So cute, too. Also I like to hear thoughts on healthy eating/the incessant need for children to eat/how you manage the food process. One of the main things I deal with with having a family on the go so much is that I have to be on top of the food thing or everyone is miserable. I’d like to hear your ideas and thoughts! I would like to know how you guys handle discipline (with the children) in the car on those long road trips to those excellent outdoor adventures you’ve posted about, as well, what kinds of things do you do in the car to keep them entertained? I agree with many of the posts above; snowshoeing with kids, trail food for the picky eater, and what to do when your kid flat out refuses to do something. (for us it’s riding on the toboggan right now). Would also be interested in discipline in the back-country. What do you do during a tantrum or melt-down? I need some tips and tricks for keeping a baby happy, safe, and comfortable on overnight camping trips. What is the best way to keep a baby warm while sleeping in a tent? By baby I mean 8-24 months old. I would say, how does a single parent take multiple kids on an active acting by him/herself. I followed you on Twitter (coreyTX). We love our wool clothing for our kids and for the parents. The best thing we ever took with us to China last witner for our 3 year old was a Icebreaker top. It was warm and it stayed clean. It is expensive, but it’s an investment. 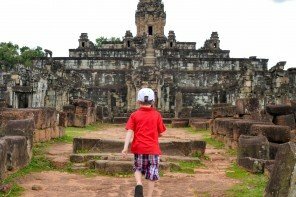 Would love to hear about international adventures with kids. How do you handle tantrums or just, plain negative behavior when you’re in the middle of an adventure? These outings are usually planned and away from home. I want everyone to have fun, but an over-tired kid or just someone having a bad day can ruin the enjoyment for everyone. I would love some hints on ways to get kids to want to be more active. I have one child that would rather be inside reading or on-line than doing anything active. She tends to like things for a short time but then tire of them. How to teach your kids in a way that they understand the impotance of safety or being safe. I would like to hear more about quick day adventures with the kids. We liked Icebreaker on FB. I agree with Cami…I’d love to hear more about streamlining the “getting-out-the-door” process. It always seems to take forever; I usually pack what we need, but then the “essentials” list seems to be getting longer…. I’d love you to talk about extended family outdoor activities (multiple generations . . . ). Keep up the great work! I liked Icebreaker on Facebook. As someone who has lived in New Zealand and being extremely familiar with the Icebreaker brand, I can tell you that this stuff is the real deal. I am addicted. Raffle entry: Am I crazy for thinking my 16 month old boy will be skiing with me in the spring? I want to get him out there early, but is 20 months too early? Raffle #2 – I “like” Icebreaker. On my wife’s Facebook because I’m still a hold out. I’d like to see you address the Mother-in-law/Daughter-in-law factor… I sometimes feel like I’m treading on thin ice w/my Dtr-in-law, not wanting to step on toes or hurt her feelings. I’m a Nurse, so sometimes there are things I’d like to tell her, but don’t want to seem “Pushy”!!! My OWN Mother-in-law was a FABulous role-model, but unfortunately we lost her 2 yrs ago. ((1955nursehjc4me(at)myway(dot)com)) TY! I LIKE’d IceBreaker (HollyCunningham) on FB (91955nursehjc4me(at)myway(dot)com)) Thanks for the chance…. Well, I just found your blog so I am still seeing what you blog about (I love it so far). But I like reading about creative activities you can do with your children that is free or cheap! I am really frugal! I’d like to hear ideas about healthy eating for kids. I would like to hear input from other Moms about what to do when someone gives your children age inappropriate gifts. Please address children’s tv viewing. How much is too much? 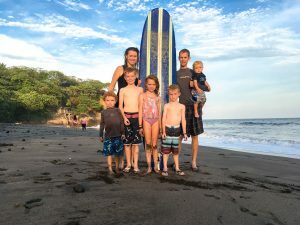 I’m new to the blog, via OutsideMom, but I’d love to hear how you keep close-to-home adventures new and exciting. We’re blessed to be surrounded by lots of state forest and we hike in them a lot, but our boys are starting to recognize the same old hikes after a while. We don’t want to give up outdoor-time during the week, but also don’t want them to get bored either. Help! Thanks for the review on Icebreaker base layers, too. Just “liked” them on Facebook. Liked Icebreadker on fb as Eli Carver. We have 4 children, but I love to learn others ideas!!! I don’t know if you have this problem, or have addressed this in a past post, but my little one (4, so maybe not so little) has been this way since she was born: If she doesn’t get a regular nap, she will meltdown without fail. If she has that nap, she is a happy little girl. This can be pretty inconvenient. How do you work around this? Did I mention she won’t nap anywhere but in her bed? Even in her car seat when I know she’s exhausted? We have tried to go on vacation exactly once since she was born…. Yeah, how do you handle diapers on those backpacking trips and how do you teach little girls to go potty in the woods without making a mess?